Deal of the Day: Seat Toledo | What Car? We’ve been busy testing petrol and diesel family hatchbacks to see which offer the best fuel economy in real-world driving conditions – click here to see the results in full. 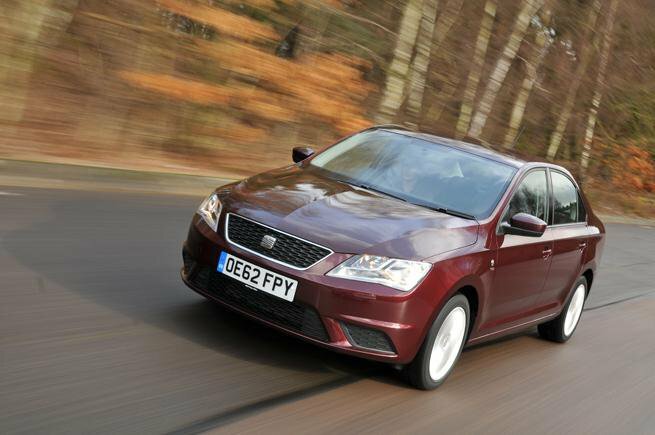 A strong performer in the petrol tests was the Seat Toledo, returning 43.1mpg in the real-world tests, and we’ve found more than £3600 off the hatchback online. The Toledo is a significantly cheaper alternative to family hatchbacks like the Ford Focus and Volkswagen Golf. With this discount, it undercuts the entry-level Focus by more than £3000. There’s more to the Toledo than its price, though. It offers decent fuel economy, has a huge amount of space inside, and is a very practical hatchback all-round. It’s cheaper than its rivals, but the cost-cutting signs are evident from the hard plastics used in the cabin. It also has a firm ride and doesn’t handle as well as other cars in the class. S trim comes with air-con, Bluetooth, remote audio controls and front electric windows. Optional extras include a detachable towbar for £630, and bigger 16in alloys for £360. This quoted price includes a £100 discount which is conditional on you taking out PCP finance at 0% APR Representative over 36 months with 50% minimum deposit. If buying in cash, add £100 on to this discounted price. Head over to Drivethedeal.com, then select ‘Seat’ and ‘Toledo – Hatchback’ to see the range of deals available.